The Bauhaus school, founded in 1919 in Germany and active until 1933, was in contact with institutions in many countries, where it encountered similar movements that had arisen independently, and which lent the Bauhaus a strong stimulus. The international exhibition and research project bauhaus imaginista explores over one year these interconnections, resonance and receptions related to the Bauhaus. Four chapters, each consisting of exhibitions, workshops, conferences and discussions, are based on one specific Bauhaus object (Gropius’ Bauhaus Manifesto of 1919, a collage by Marcel Breuer, a drawing by Paul Klee, and a light game by Kurt Schwerdtfeger). These objects become the basic framework for bauhaus imaginista, from which specific themes, historical genealogies, and contemporary debates are developed. The chapter bauhaus imaginista: Learning From with workshops in Morocco, USA and a large-scale exhibition in Brazil traces the Bauhaus study of pre-modern craft techniques, materials and practices at the center of an examination of diverse transcultural connections. A preoccupation with the pre-modern extends throughout the work of Bauhaus teachers and students and beyond their work in Germany. In North as well as in South America contact with local craft practices led to the development of a modern idiom of forms and design, as well as to the introduction of new methods and techniques based on local and sometimes indigenous knowledge. This resulted in a program that gained a socio-political dimension for arts movements, in the process of cultural decolonization. The meeting at the Goethe-Institut Rabat with Marion von Osten, Grant Watson, Maud Houssais, Fatima-Zahra Lakrissa and Kader Attia addresses the transcultural and political dimensions of Bauhaus crafts studies. 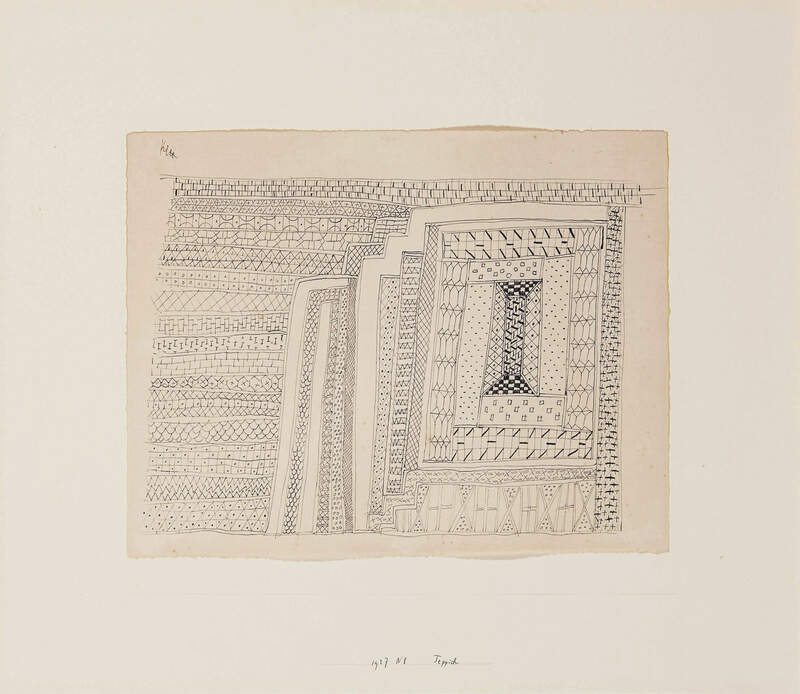 Departing from a 1927 drawing of an oriental carpet by Paul Klee, they will focus the transcultural readings of modernist art practice and the re-mapping of avant-gardes’ territories. The international exhibition and research program bauhaus imaginista is launched in Morocco on March 23, on the occasion of the centenary of the foundation of the Bauhaus –famous German school of art, design and architecture. With Kader Attia (Franco-Algerian artist living in Berlin), a roundtable, an exhibition and a workshop will explore the connections and cultural transfers between the German Bauhaus movement and the traditional and modern artists and artisans of art in North Africa. This event inaugurates the bauhaus imaginista cycle, an international research program, of exhibitions and events dedicated to the reception of the Bauhaus in the world, during the 20th century. bauhaus imaginista is made possible by funds from the Federal Government Commissioner for Culture and the Media. The German Federal Cultural Foundation is supporting the exhibition in Berlin and the German Foreign Office the stations abroad. Media partners are 3sat and Deutschlandfunk Kultur. Partners abroad are the Goethe-Instituts in China, New Delhi, Lagos, Moscow, New York, Rabat, São Paulo, and Tokyo. bauhaus imaginista is realized in collaboration with the China Design Museum / China Academy of Arts (Hangzhou), the Independent Administrative Institution of National Museum of Art / The National Museum of Modern Art Kyoto, Garage Museum of Contemporary Art (Moscow), SESC São Paulo and Le Cube – independent art room.